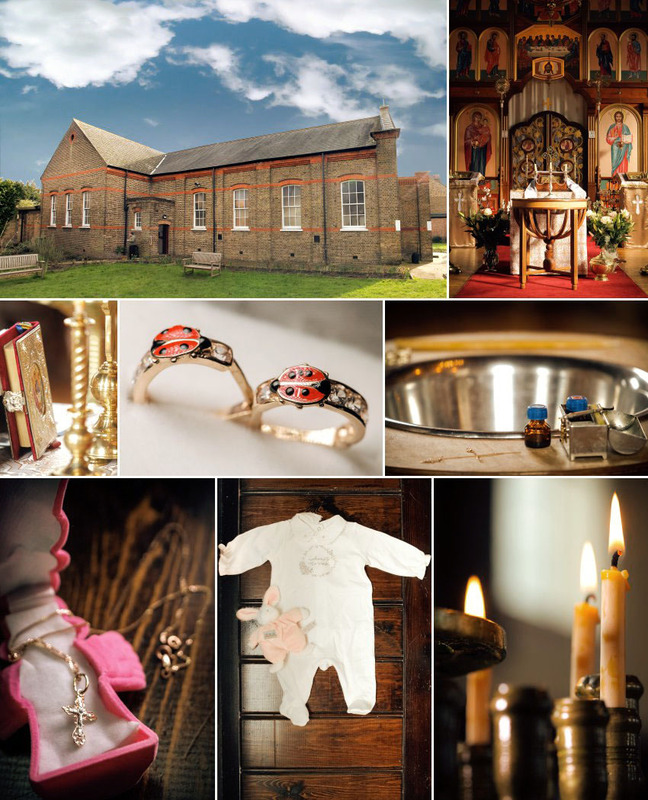 While I often photograph Greek Orthodox Christenings, a Ukrainian Christening is less “typical” for me, and it was a real treat to be asked to record the event, especially with a family so warm and lovely as this one. Unassuming from the outside, walking inside the Ukrainian Orthodox Autocephalic Church in Acton was like stepping into a jewellery box. For all their beauty, Orthodox churches can sometimes be tricky to photograph. The vividly coloured icons and rich gold decorations need the correct lighting to look as vibrant in photographs as they do in real life and I was pleased with how the pictures of the church’s interior turned out. The muted shine of the gold paint contrasts wonderfully with the dark richness of the wood, with both natural light and flickering candlelight adding to the ambience. Only very close family and godparents were present at Melissa’s Eastern Orthodox Christening. However, the size of a congregation is unimportant to the significance of the events, and it a baptism always a beautiful occasion. Barely weeks old, Melissa was one of the youngest babies whose christening I have attended, and she slept peacefully throughout most of the event, grizzling only slightly as babies do from time to time. 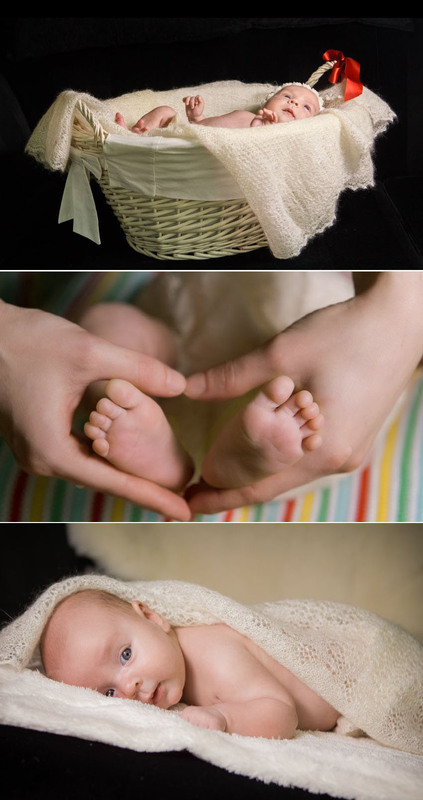 If there is one thing my time as a photographer has taught me it is that babies and children do what they want regardless of the solemnity of the occasion! 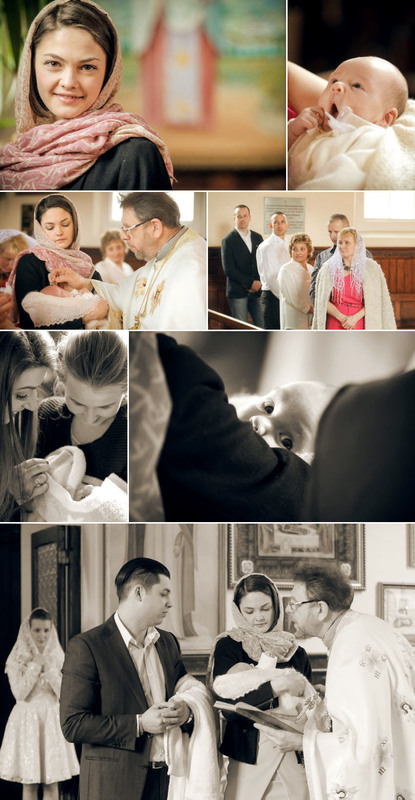 A Ukrainian Orthodox Baptism shares many similarities with Catholic and other Orthodox ceremonies. For example, there is a strong presence of the number three to represent both the Holy Trinity and also the days which elapsed between Jesus’ crucifixion and resurrection. Melissa’s mother presented her to the priest inside the door of the church, then waited there for the duration of the service. Melissa snoozed peacefully, wrapped in a blanket while her godparents recited their prayers and oaths, the traditional blessings were made, and Melissa was formally welcomed into the church to the happiness of her parents, godparents and grandparents. 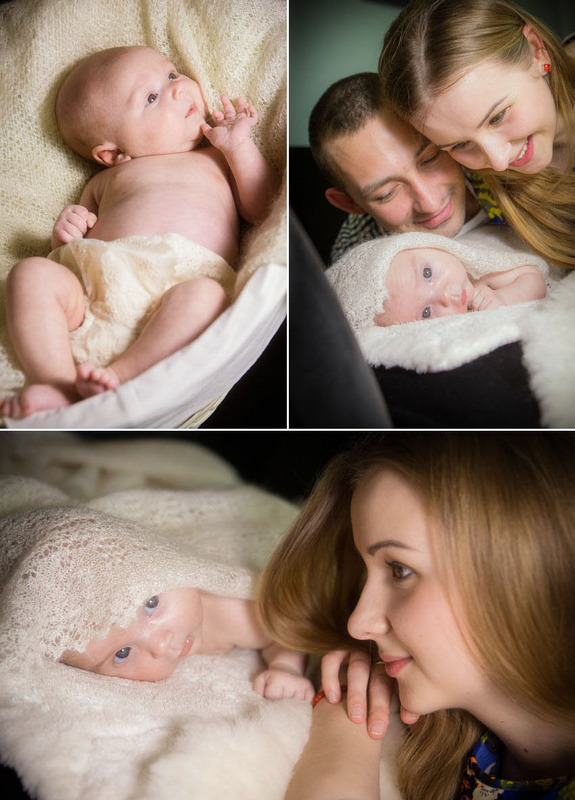 Melissa’s parents chose to include a family photo shoot to add to Melissa’s christening album, giving them a variety of photos to display and share with family and friends who were not able to be present for the christening or who had not yet met their daughter. It was touching to watch the small family together, and I hope they enjoy they enjoy looking at their christening album for many years to come.